Raleigh Home Sellers: Do THESE Before Listing | Puck Realty, Inc.
How many times have you read this when it comes to preparing to buy or sell a Raleigh home? 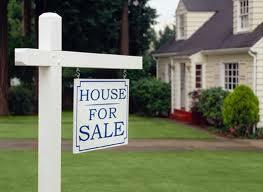 People who are selling homes are usually also in the market for buying one as well. The sooner you know where your credit stands and what problems need to be fixed, the quicker you can start fixing them. Some credit issues can take up to a year to correct, so it’s really in your best interest to research your credit report before you make the decision to put your home on the market. Keeping track of the housing market is a good place to start when looking for a new home. But there may be other costs you have to factor in to your decision before moving. When looking at a new Raleigh home, some costs you have to consider are your new mortgage payment, closing costs on the new home, as well as what the utilities, property taxes and insurance costs might be. Downsizing can also mean an increase in property taxes and other expenses, such as HOA bills. With that in mind, a smaller residence could also mean lower utility bills. By having your Raleigh home inspected before it goes on the market, you are allowing yourself to correct any problems and prevent any surprises. Having this information ahead of time allows you the chance to make any repairs or to fully disclose what needs to be fixed. By fully disclosing the problems ahead of time, you can reduce the chance to lose buyers during negotiations. When selling your Raleigh home, there are additional costs before the final sale can happen. Make sure you have the finances available to pay the commission for both your agent and the buyer’s agent. You’re also going to need money to get your home ready for sale (i.e. DIY makeovers and staging). Finally, costs that are usually covered by seller varies between states. Talk to your agent to see what other costs you may be responsible for. By creating a financial plan, it will help you focus and understand what is involved with selling a home, and exactly how much money is needed so there are no surprise costs.